Bill and his crew did a great job painting the interior of our home. They did quality work, were punctual, finished ahead of timeline and most importantly respectful of my space and home" — Christina P.
Any time you're having your home or a commercial property painted, you need to hire a professional painting contractor you know you can trust. Painting any of part of your property can have a significant effect on its appearance, atmosphere, and value, and if the painting services you receive are lackluster in any way, it can cost you time and money. At Premier Painting, our painting contractors based on the North Shore of MA are qualified professionals who always use the highest quality products and guarantee your satisfaction with the services that we provide. At every job we perform, we strive to ensure that our clients receive the highest quality workmanship and most professional customer service possible. We work closely with each of our clients to ensure that our services meet all of their needs, and we look forward to working with you. When you hire our professional painters for interior painting services, we'll work with you to make sure that you're getting the perfect paint for your home and your personal tastes. We can work with you directly to choose the colors, textures, and finishes that will be best for your home, then we'll provide you with expert painting services, and we'll make sure that you're totally happy with the final results. 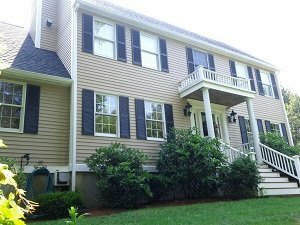 Our North Shore exterior painting contractors can enhance your home's curb appeal and help keep its exterior in great condition. Our exterior painting services will be custom designed to suit your home, and we'll use the best materials possible to ensure that your home has all the protection it needs from weather and the elements. Wallpaper can be a great design element for any home, but it can also be difficult to remove when the time comes. Whether you're looking to have new wallpaper installed or you need to have old wallpaper removed, you can rely on our qualified professionals to tackle the job. We have the tools, experience, and expertise to get the job done well, and we look forward to assisting you with this project. There's no end to the repairs and maintenance that you need for your home, and one of the greatest advantages you can gain as a homeowner is having access to a handyman you know you can trust. Our professionals offer handyman services to help you keep every part of your home in great shape at all times. We're always available to help you with any problems that may crop up in your home. Premier Painting is dedicated to providing all of our clients with great service and quality workmanship at every job that we perform. 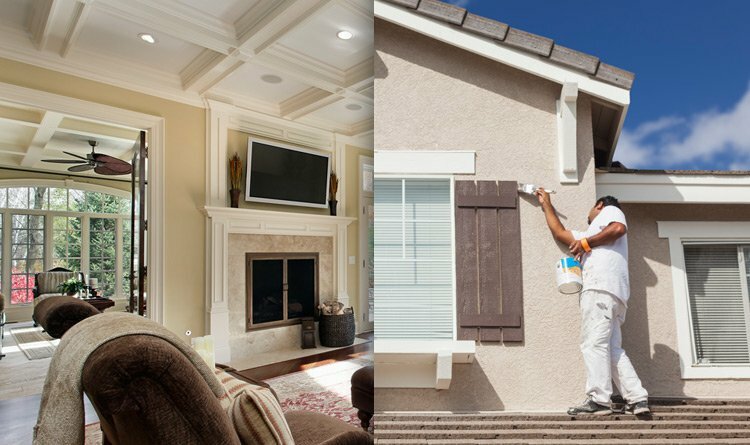 We understand how important paint is to your home or commercial property, so when you hire us for any painting services, we don't take our responsibilities lightly. We'll work hard from the beginning of the project to the end to ensure that you're getting everything you need from the services we provide. Our painting contractors are all professionally trained and extensively experienced. We'll help you define your goals for this project, then we'll work with you to find the best ways to achieve them. 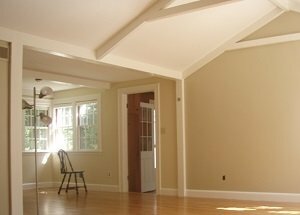 If you are looking for a painting contractor on the North Shore, MA please call Premier Painting at 978-532-7788 or fill out our online request form. If your home has wallpaper that's outdated, dingy, and ready to be removed or replace, you may find yourself wondering if you should tackle the project alone or hire a professional for the job. If you opt to do it yourself, you'll most likely realize very quickly just how difficult—and messy—the job can be. The colors that you choose to paint any room in your home will have a significant effect on the appearance and the atmosphere of the space. You should choose colors that will be in keeping with the themes and decor of your home as a whole, but you'll also want to consider the specific atmosphere that you want to create in the room that you're painting. One of the biggest reasons that homeowners paint their home's exterior is to make it more attractive and boost its curb appeal. Exterior painting can be a great way to make your home look better, but that's only a small part of the benefits that exterior painting can provide. You need the right tools and paint for maximum benefits when it comes to exterior house painting.